For a more personal journey, Catherine Ann assists clients through in-depth one-on-one private 60 or 90 minute sessions in person, on the phone or through Skype. Catherine Ann’s Frequency Healing/Channeling sessions will help you to uncover and move beyond any limiting beliefs and fields of consciousness keeping you ‘stuck’ in fear or pain or even lower frequencies that have been programming your life unconsciously for a long time. A session will help you find the reason for the pattern in your life and the “gift” in its circumstance so it can become your ally, instead of an adversary. In this way any low frequency limiting energy is finally released so you can let go of the need to stay contracted to that trauma. With the assistance also of the Hosts of Heaven, the Councils of Light, you’ll feel an expansion of your energy, allowing greater light to descend and expand through your body to a greater understanding and rise in frequency. 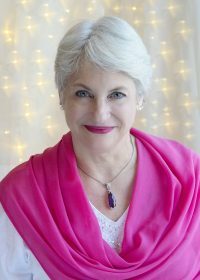 Catherine Ann also facilitates Past Life Regression sessions in person with clients.